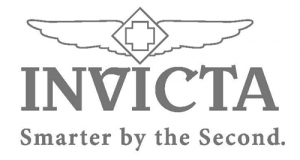 Invicta Watch Group is a United States-based watch company. Invicta Watch Group trades on the name "Invicta Watch Company" which was a company founded in 1837 by Raphael Picard in La Chaux-de-Fonds, Switzerland. Led by innovation and nurtured with the consistency of quality and brand personality, the forward thinking energy of The Invicta Watch Group continues. Invicta Ocean Ghost II 2299 Wrist Watch for Men - NEW! AUTOMATIC POWER!